An estimated 5.6 million children under the age of 18 have food allergies. To put that number in context, that’s about one in 13 children or roughly two in every classroom. While you may think that food allergies only appear more prominent due to the spread of information on the internet and social media, the Centers for Disease Control & Prevention reports that the prevalence of food and skin allergy in children increased by 50 percent between 1997 and 2011. However, researchers have more recently said that due to the nature of food allergies, it’s prevalence is difficult to accurately track. Regardless, it’s important for parents to be aware of the most common food allergies in children, including what symptoms to look for and when to seek help. There are eight foods that account for 90% of all food allergies in children. 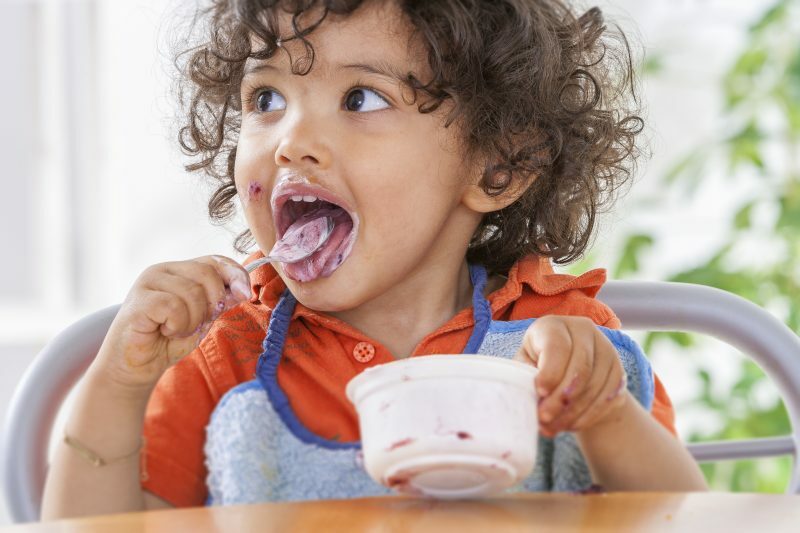 Allergies to cow’s milk, soy milk and egg typically present symptoms within a child’s first year of life, however, in 85% of allergies to these three foods as well as wheat resolve by the time a child reaches 3 years old. Allergies to peanuts, tree nuts, fish and shellfish are often lifelong. Around 40% of children with food allergies are allergic to more than one food. It’s important to understand the difference between a food allergy and food sensitivities or intolerances. Food allergies cause an immune response that triggers the release of histamine causing symptoms that may vary from discomfort to life-threatening anaphylaxis. On the other hand, sensitivities and intolerances do not involve the immune system. While they can certainly be unpleasant and cause symptoms such as gas or bloating, they are rarely dangerous. The American Academy of Pediatrics recently released updated guidance regarding the prevention of food allergies in children. Based on the latest available research, there is no convincing evidence to support the theory that delaying the introduction of allergenic foods works to prevent food allergies. In fact, there is strong evidence that suggests the early introduction of peanuts (as early as 4 months) may help to prevent the development of a peanut allergy in infants considered high risk such as those with an immediate relative with a history of allergic condition. The theory behind it is that when the immune system cells in the gastrointestinal tract are introduced to the allergic proteins in different foods, they are able to develop a tolerance to them. According to Dr. David Stukus, a pediatric allergist and associate professor of pediatrics in the Division of Allergy and Immunology at Nationwide Children’s Hospital, confirms the theory “as long as these foods are introduced early and in an ongoing fashion.” This means there is a critical window of time during infancy when the gut is developing that the introduction of these foods may lead the body to become tolerant. If your child displays any of the above symptoms, talk to your child’s pediatrician about allergy testing. 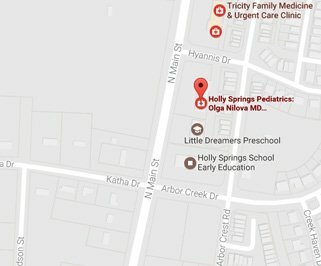 Holly Springs Pediatrics now offers in-office allergy testing for children using the Pediatric Allergy Solutions method. With the prick of a finger, this unique next-generation FDA approved blood test detects 180 airborne, environmental and food allergies. For comparison, the standard scratch test typically detects 40-50. Compared to traditional allergy testing methods, this option is The test is fast, easy and not traumatic for children. For more information or to schedule an appointment, call Holly Springs Pediatrics at (919) 249-4700 to schedule an appointment today.